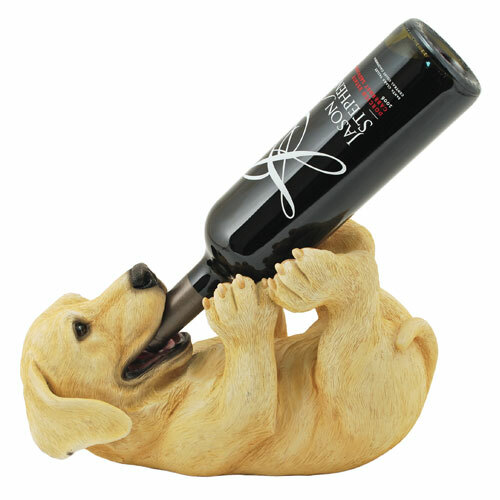 Yellow Lab adorably holds one standard sized wine bottle. Good boy! Dimensions - 7&1/2" h x 11&1/2" w.